Showing results by author "Meesha Mink"
In the hood, every day is about struggle and survival, and no one understands that daily grind more than 22-year-old Kaeyla “Goldie” Dennis. She’s been the “wifey” of an older, wealthy man since she was 15, but the discovery of their longtime affair by his real wife brings to a crushing end her hood-fabulous lifestyle in their low-rise project in Newark. 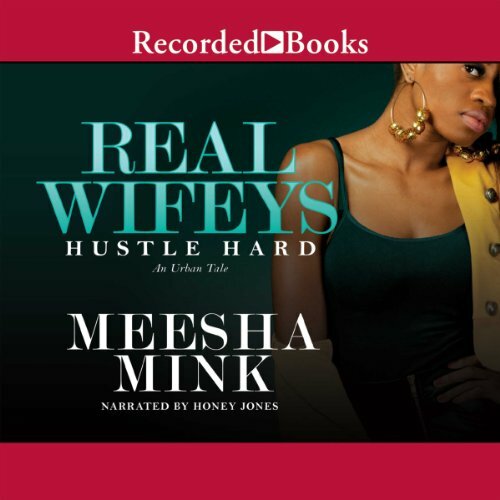 Best-selling street lit author Meesha Mink closes out the Real Wifeys series with Hustle Hard. "Suga" Alvarez cares about two things: making money and loving Dane. But when the Feds bust Dane for loan sharking, Suga must decide if she’s going to stand by her man and take over his business or kick him to the curb. On top of all that, she finally learns the truth about her father’s past and discovers a secret that will bring things to a head with her former best friend, Luscious. The coauthor of Desperate Hoodwives, Meesha Mink set out on her own with the street-fiction hit Real Wifeys: On the Grind. The series’ second installment, Get Money, finds Harriet “Luscious” Jordan in serious need of scratch after her hubby Make$ is put behind bars. A natural-born hustler, Luscious jumps into the party-promotion biz and begins pulling in big-time cash. But she can’t let go of a grudge against her old rival Goldie, and it may be her undoing.